The Baby Blocks has 5 raised picture—2 colored images, 2 embossed images, one number image. 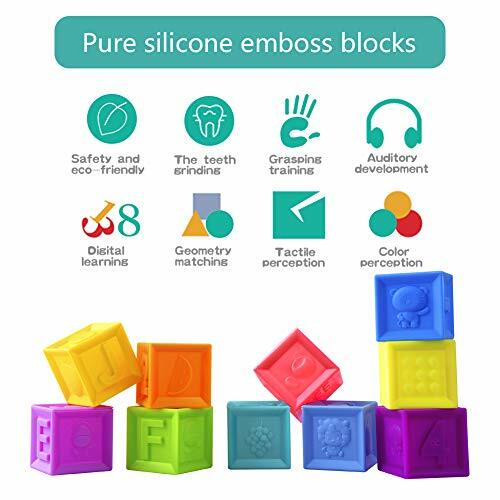 Each building blocks is soft and squeezable, with stimulating colors, numbers and animal figures. The hand-sculpted blocks are designed especially for tactile experience and curious minds. 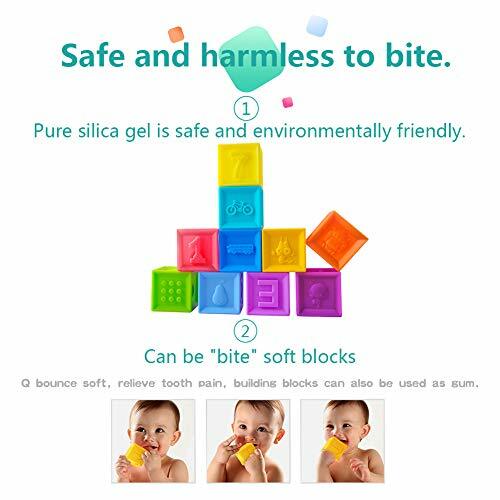 Soft and durable, these blocks are stackable, squeezable, floatable and chewable, suitable for any activity. Recommended for ages 6 months to 3 years. These things are wonderful. 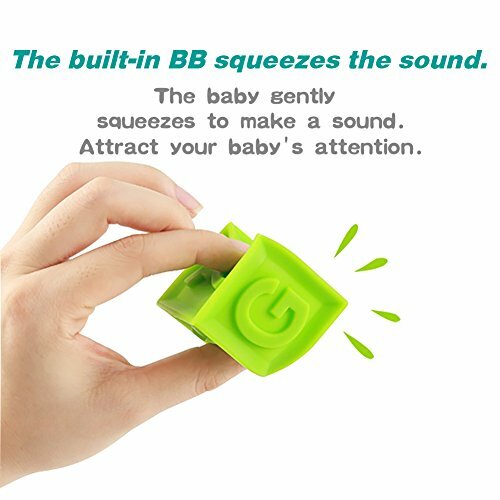 First off they are soft enough for your baby squeezing them without any injuries, and the squeaking sound when squeezing the blocks is the most interesting for the baby. It is the best toy for children to stop crying. And what baby doesn’t like that? They aren’t hard or heavy so it makes it perfect for infants. They are made out of the same material as bath toys, therefore they can also be brought into the bath, pool, ext. They float!! – nice for practicing fingers control. 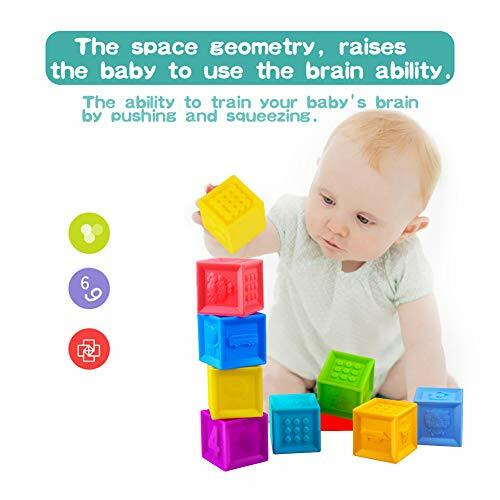 【Baby Block Toy】:The play blocks squirting squeeze and stack cartoon blocks. It is bright and beautiful in color. It caters to the baby’s preference and attracts the attention of the baby. 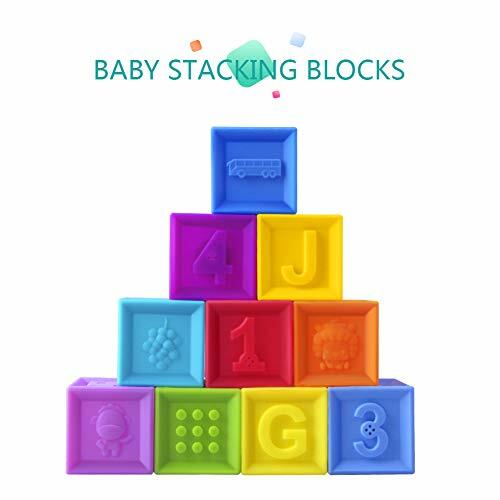 【Soft Building Blocks】:They’re soft enough to be squeezed, the blocks squeak when you squeeze them, are easy for little hands to hold and help develop hand-eye coordination, but also firm enough to be stacked easily atop one another. For ages 6 months and up. 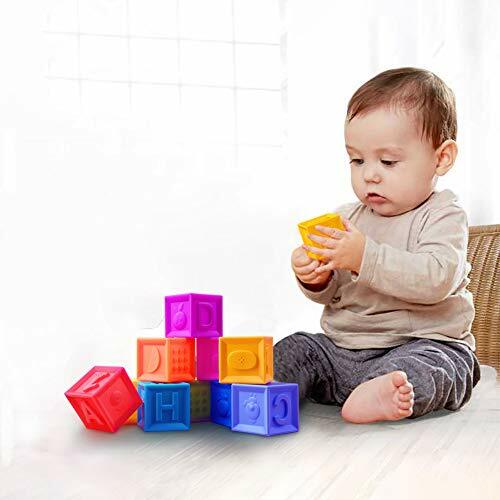 【Easy Clean Up 】:These blocks are made of vinyl and simply wipe clean to keep all your baby’s favorite toys clean and sanitary and has no sharp water chestnuts. The rare rubber material on the market can make the baby play safely. 【BPA Free & FDA approved】:We only used BPA free and FDA approved materials in our products. We do not and will never compromise the safety of your child, and you can be sure your child’s safety is our top priority. 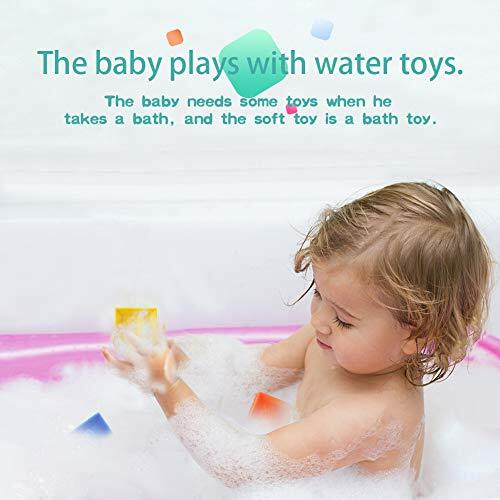 【Happy Toys】:can be as blocks, squeaker, teethers, bath toy— squeezable, chewable, soft, stackable. 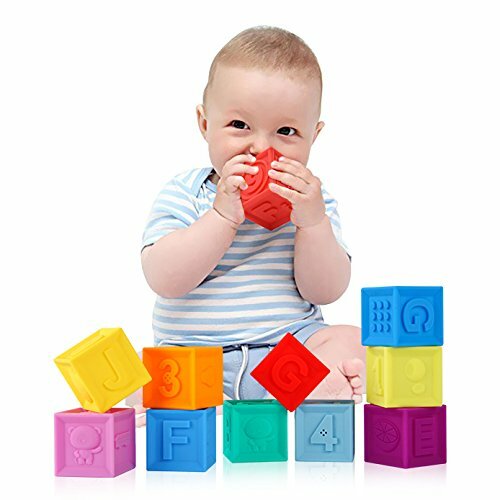 And colorful feature images of letters, numbers, animals and fun graphics that children can tactility and visually explore, Baby products assist in the early developmental stage of a baby life through vibrant engaging toys.